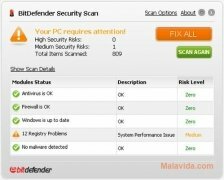 The maintenance of any computer is essential to avoid the possibility of being infected by any kind of virus or the appearance of security breaches. 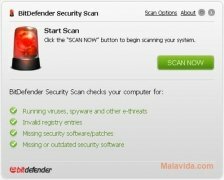 For this purpose you can use BitDefender Security Scan. 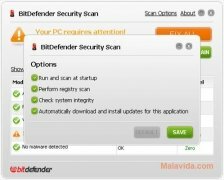 With a quick but effective exploration of the system BitDefender Security Scan is capable of detecting, locating and showing multiple problems that affect a computer in its daily use. Virus, spyware and other malicious software that is active on the computer. Check the status of your firewall to avoid possible security breaches. Detect Windows updates that haven't been installed. Indicate possible errors in the Windows registry file. 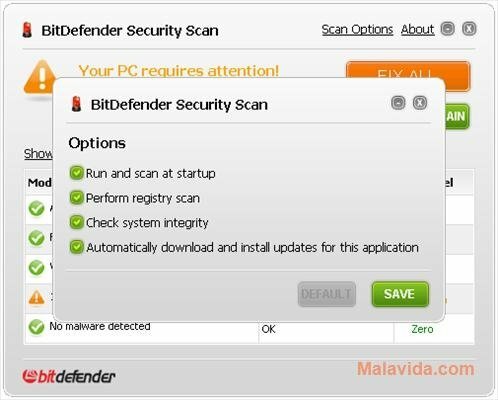 As well as this, BitDefender Security Scan offers the possibility to stay active in the system tray to scan any file that you download from Internet in search of possible virus or trojans. 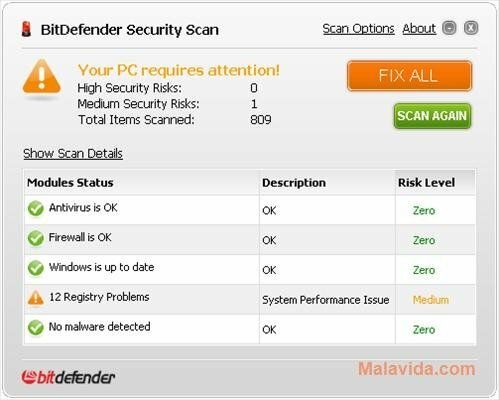 What's more, BitDefender Security Scan allows the possibility to program the frequency with with which it will explore the system. BitDefender Security Scan is the perfect first line of defense for any computer.